awakening hearts to explore, grow, and renew the spirit of universal love. Join us for two Community Dinners This May! ​Register for both to Save. Ferry Beach Retreat & Conference Center is located on the coast of southern Maine. 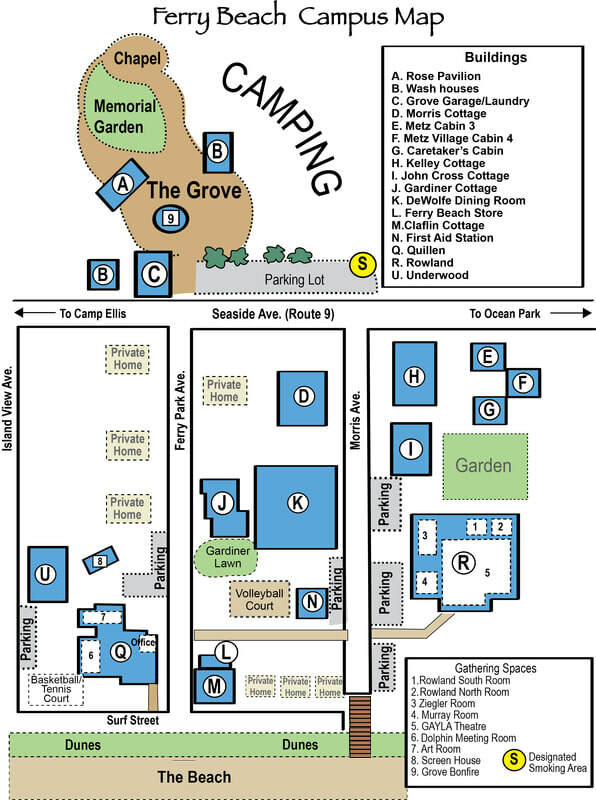 We offer engaging conferences, retreats, vacations, and youth camp, plus meeting and celebration spaces on our beautiful 32-acre oceanfront campus. Ferry Beach is a welcoming non-profit member organization. One visit to Ferry Beach and you'll know why generations of families and friends love it here! As a non-profit organization, Ferry Beach relies on its members and supporters generosity to help sustain and grow our facilities, programming and work. Show us your love today by giving to Ferry Beach. Your gifts are essential to the long term sustainability of our organization!